Just like with human family members we often worry about our cat’s health. Unfortunately, they really can’t tell us how they are feeling. One company is looking to let us know if our cat’s not well by way of its litter box. 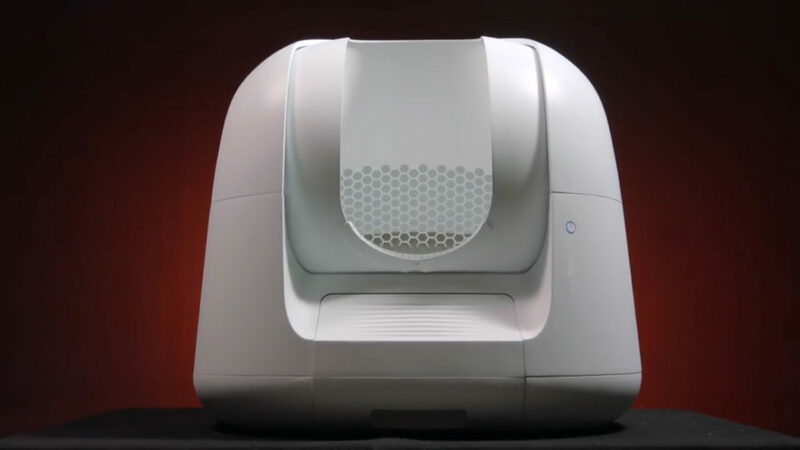 Tech startup Petato has developed a “smart” litterbox called Footloose. 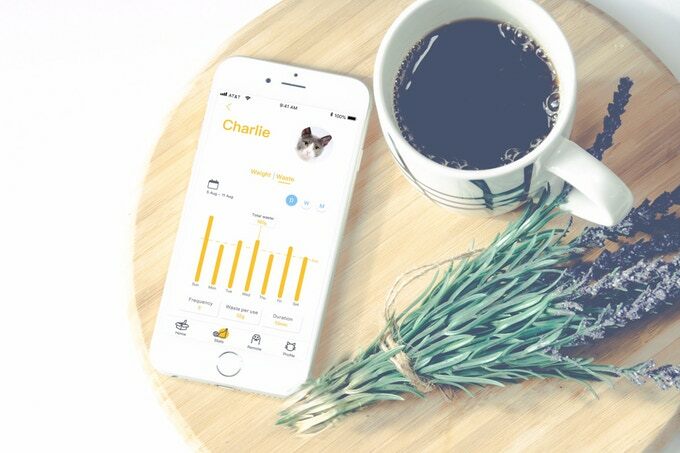 It uses artificial intelligence to analyze habits and waste to see if your cat may be having health issues. Once your kitty finishes their “business”, the Footloose will clean up hygienically afterward. The best part is you can control the AI litterbox and receive all information remotely via an app. Thanks to onboard sensors and a powerful computer, Footloose can track things like your pet’s weight, water retention, how long and how often it attempts to use the litterbox. If anything seems off, it will immediately send an alert to your smartphone and recommend you take your cat to the vet. All of this data is saved and streamed to the app so you can reference later. If you have more than one cat, Footloose’s algorithms will differentiate between them via their weight and activity patterns. It also detects any unusual activity so if your toddler or dog tries to get inside it will send you an alert. Along with monitoring your cat’s health, it’s also self-cleaning so you’ll barely have to lift a finger. After your cat is finished, Footloose makes sure your pet has left the box, starts an 8-minute countdown, and then initiates a cleaning cycle that funnels all waste into a tightly-sealed receptacle. It takes only 90 seconds and the process is pretty quiet so it won’t freak out your cat or disturb your family. You can monitor waste levels and schedule cleanings all via the app so the only thing you’ll have to do is occasionally discard the tightly packed waste bag. As far as smells go, Footloose uses NASA tech to neutralize odor at the molecular level. 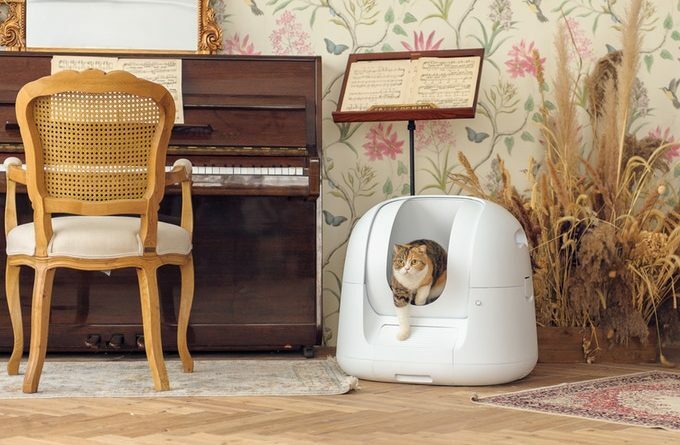 Unlike other litter boxes, this one won’t stink up your house. Thanks to its sleek and curvy design, the waste itself is packed in a way so that it is never exposed to open air. The Footloose can detect motion up to 30cm, so if your dog or kids get too close, the machine will stop its cycle and send an alert. Once the area is cleared, the AI litterbox will resume its cleaning. As of now the Footloose costs around $300 and is available via the company’s Kickstarter. Units will begin shipping early next year. Check out our articles on Uber’s flying taxis and robots cleaning up beaches.